After last week's skipping of Linky Lovin' Friday you'd think I would have double the links to share with you this week, but I don't. I had a Tafe assignment due so I spent most of last week working on that when I wasn't working on my other job, motherhood. So I haven't had heaps of free time for leisure reading. I have been reading, however it's mostly been photography articles, doing research and preparation for my assignment and the two that I have due in the next two weeks. As soon as Tafe is finished (only two weeks to go! Where did the last 7 weeks go?!?!) 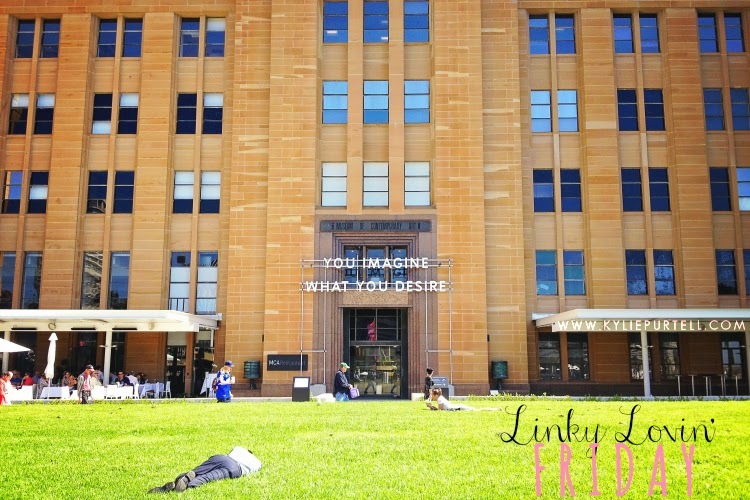 I plan to dedicate a Linky Lovin' post to some of the awesome photography articles and posts I've been perusing. I'm also going to work on bringing you the next couple of instalments of my Photography Basics series, where hopefully I'll be able to prove that my photography course was worth the money and I'm not some wannabe hack! The original plan when it came to studying the Diploma of Photo Imaging was to wait until next year and spend 2016 doing that. However after thinking about it more carefully, and talking to Dave about it, the new plan is to try and start the course in the second semester intake later this year. The only hitch is going to be whether or not we can arrange suitable childcare for the girls, but I'm really hoping we can pull something off. I really don't wait until next year to start, I've been enjoying Tafe so much and I don't want to lose that momentum. Not to mention the sooner I get it done the sooner I can really dedicate my time to getting work and building up my business. I also don't want to spend Punky's last year before she starts school studying. I'd like to be able to finish the Diploma mid next year, and then spend the last half of the year doing work experience and some of my own jobs, and spend time soaking up her last days before big school. This was a great post by Lila. I really get where she is coming from with this. I've been guilty of feeling that pressure and bitterness myself from time to time, I think it's a part of human nature to be honest. But it's something that can be terrible if you allow it to consume you. Great piece from a writer I'd never heard of before. She really could have been writing this about me! I really enjoy Mark's posts and this one was no exception. As I commented on this great post by Chantelle, there are so many grey areas in my parenting that it's like a really awesome Ansel Adams landscape! A great read. So those are my top picks. Have you read anything particularly good this week? Hit me up with you links in the comments, pretty please! Linking up with Grace for FYBF & The Weekend Rewind gang. Sounds like a great plan. I'm finding it hard to believe it's already Friday and we are racing through March. Some weeks just get away from me too and before I know it I am looking down Monday morning wondering where the weekend went. Hello and Im so happy to hear all is going well. My sis in law's hubby's cuz (what a connection) has the following blog and this was a beautifully written article on blending families. The title got me alone. She writes beautifully. If you can’t be good at marriage, be awesome at divorce: 8 rules for happy divorced kids. Cant wait for the photo tips. I need them baaaaaaad…ha ha!! Can't wait to see some of this photography work that you have been producing through the course. Good luck with the childcare arrangements. Thanks for sharing my post! I hope everything goes well with getting childcare and making the diploma happen, so exciting! Loved Lila's words. She writes with such honesty.